2018 is an exciting year of extremes for planetary imagers, especially in the comfortable months of May - July. Mars reaches a perihelic summer opposition rivaling its 2003 appearance in size, but is very low in the sky. Jupiter and Saturn have aphelic oppositions, both also low in the sky. Mercury has 5 great elongations this year, when it will be more than 17 degrees high at sunrise/sunset. In July, all 8 classical planets can be easily viewed in the same evening. January 1, 2018 Mercury morning elongation. Mercury kicks the year off with a superb morning elongation. It leisurely hovers more than 15° high at sunrise for 3 full weeks, from Dec 21 - Jan 11, peaking at 18.5° on Dec 29. During this time it transitions from a thin 9" crescent to a 6" gibbous disk. Mercury brightens to -0.4 mV at elongation, and remains steady for the next 2 weeks. January 6 & 7, 2018 Mars-Jupiter Conjunction. On January 6 and 7, Mars passes below Jupiter. They will be 38° high in the morning sky at sunrise. Their distance will be 15' (Jan 6) and 20' (Jan 7). Mars will be only 5" in size, and Jupiter is 19 times brighter. March 15, 2018 Mercury evening elongation. Mercury stands 17° at sunset. It spends 2 weeks above 15° elevation from Mar 9 - Mar 21, as it goes from a 6" gibbous disk to a 9" crescent. During this time it fades from -1.0 mV to +0.8 mV, reaching -0.3 at elongation. 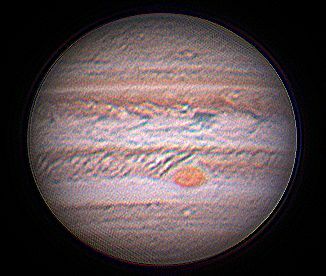 May 9, 2018 Jupiter 2018 Opposition. Having just passed aphelion in Feb 2017, Jupiter will be 44.8" across, its -2.5 mV disk presenting 90% of the area seen at perihelic oppositions. Jupiter will exceed 40" diameter from March - July 2018. Jupiter will be only 40° high at opposition, however this is better than the next 2 years, with a more favorable opposition not occurring until August 2021. Jupiter's south pole is at maximum tilt towards Earth, so Callisto will not display transits at this opposition. July 17, 2018 ALL PLANETS VISIBLE. For about 3 weeks near Saturn's opposition, all 8 classical planets will be easily viewable in a single evening. Mercury and Venus hang in the west at sunset. Jupiter, weeks past opposition, approaches the meridian as darkness falls. Saturn, at opposition June 27, rises around sunset. Pluto rises next, followed by Mars, which is already blazing at -2.0 mV as it approaches opposition. Neptune follows, and finally Uranus rises around 2:30 AM. The full moon hovers near Saturn on June 28, and the July 13 new moon accompanies Mercury & Venus on July 14 and 15, respectively. Mercury is brighter near the beginning of this window. 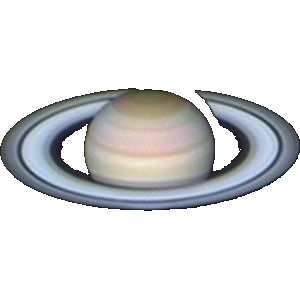 June 27, 2018 Saturn 2018 Opposition. With its aphelion only 2 months before this opposition, Saturn presents the smallest disk (18.37") in 30 years. Its disk presents 89% of the area it will show at its next perihelic opposition in 2032. It is also at its lowest in the sky, transiting at only 34° degrees elevation. The rings reached maximum tilt last year, and still present a clear view of the Saturnian north pole. July 12, 2018 Mercury evening elongation. In its best evening elongation for 2018, Mercury stands 17.6° high at sunset a week before elongation (dipping a degree lower at elongation). It spends nearly 4 full weeks above 15° elevation from Jun 22 - Jul 17, as it goes from a 6" gibbous disk to a 9" crescent. During this time it fades from -0.5 mV to +0.6 mV, reaching +0.4 at elongation. July 12, 2016 Pluto 2018 Opposition. Pluto has been receding towards aphelion since 1989, when it peaked at +13.8 mV. This year it is +14.2 mV, and will be +15.1 mV by 2050 AD. It has been anonymously lurking among the crowded starfields of the Milky Way since 2003, and is now beginning to move into darker skies. It transits at only 34° elevation, as it will for the next 30 years. July 27, 2018 Mars 2018 Opposition. This summer Mars has its closest opposition since its historic 2003 event, when it was 1.14 millions miles closer. At closest on July 31, Mars will reach 24.33" in size (94% of its disk size in 2003), when it is 0.384,944 AU (35.784 million miles) away. However, this opposition coincides with its farthest southern point below the ecliptic plane, so at opposition Mars will transit only 31° above the horizon (10° lower than in 2003). Its lowest elevation occurs mid-August. Mars spends over 7 months larger than 10" in size, from mid-April to late November. It spends over 4 months larger than 15", from late May to early October. And it spends over 2 months larger than 20", during all of July and August. During this opposition Mars will show its southern hemisphere. Watch for the South Polar Cap melting to begin around Sept/Oct. Also watch for dust storms beginning in August. August 18, 2018 Venus evening elongation. At this elongation, Venus will stand only 23° high at sunset. Two months earlier, around June 19, Venus peaks at 30° elevation at sunset. It can be seen at least 15° high at sunset from March 20 (when it is a 10" round disk) to September 18 (as a 37" crescent). August 26, 2018 Mercury morning elongation. During this morning elongation, Mercury stands 17.2° high at sunrise. It spends only 2 weeks above 15° elevation from Aug 21 - Sept 3, as it goes from a 9" crescent to a 6" gibbous disk. During this time it brightens from +1.1 mV to -1.0 mV, reaching -0.2 at elongation. September 7, 2018 Neptune 2018 Opposition. With a nearly circular orbit, Neptune's opposition size and distance hardly vary. Neptune is +7.8 mV and 2.36" at opposition. This year at opposition Neptune transits 50° above the horizon. It will continue to climb higher each year for the next few decades, making it a better imaging target. October 24, 2018 Uranus 2018 Opposition. Having just passed aphelion in 2009, Uranus is 3.73" diameter, slowly growing to 4.07" at its next perihelic opposition in 2050. It shines at +5.7 mV. Although Earth just passed through Uranus' equatorial plane in 2007-2008, Uranus' north pole is already tilted 44° towards Earth at opposition. 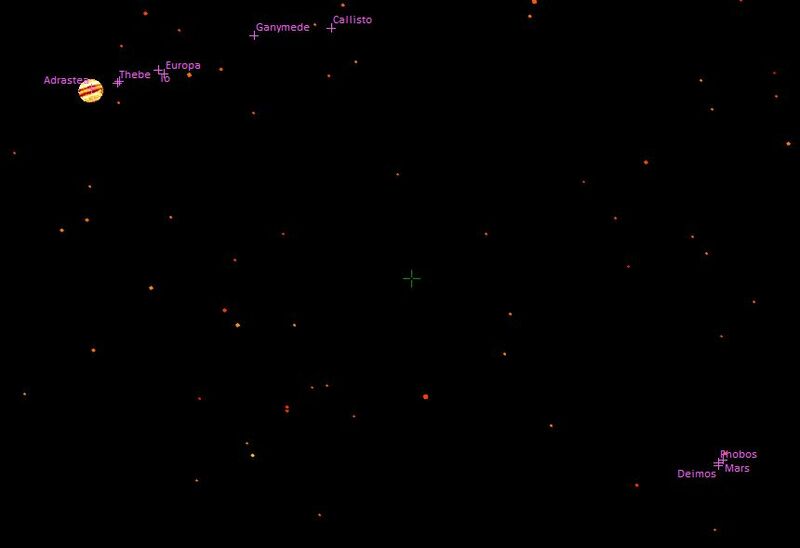 Uranus is an excellent imaging target, transiting at 68° at opposition. It will continue to climb higher for the next several years. December 15, 2018 Mercury morning elongation. In its best morning elongation of 2018, Mercury stands nearly 19° high at sunrise. It spends 3 weeks above 15° elevation from Dec 5 - Dec 25, as it goes from a 9" crescent to a 6" gibbous disk. During this time it brightens from +0.8 mV to -0.4 mV, reaching -0.5 at elongation. January 5, 2019 Venus morning elongation. This is a brief morning elongation for Venus. By November 6 Venus is 15° high at sunrise, offering an excellent, rare view of its 58", 4% illuminated crescent at a comfortable elevation. A month later (Dec 6) it peaks at 37° elevation, still a 37", 30% illuminated crescent, gleaming at -4.9 mV. By its Jan 5 elongation its only 35° high at sunrise, still 25" and -4.6 mV. It remains above 15° high until early May 2019, when it has shrunk to a 12" gibbous disk.